All are welcome to participate! The goal of the competition is to translate two short texts ( from English to Bulgarian and Bulgarian to English ). The use of dictionaries is allowed. A MONETARY REWARD has been prepared for the winner by “The Fountain”. 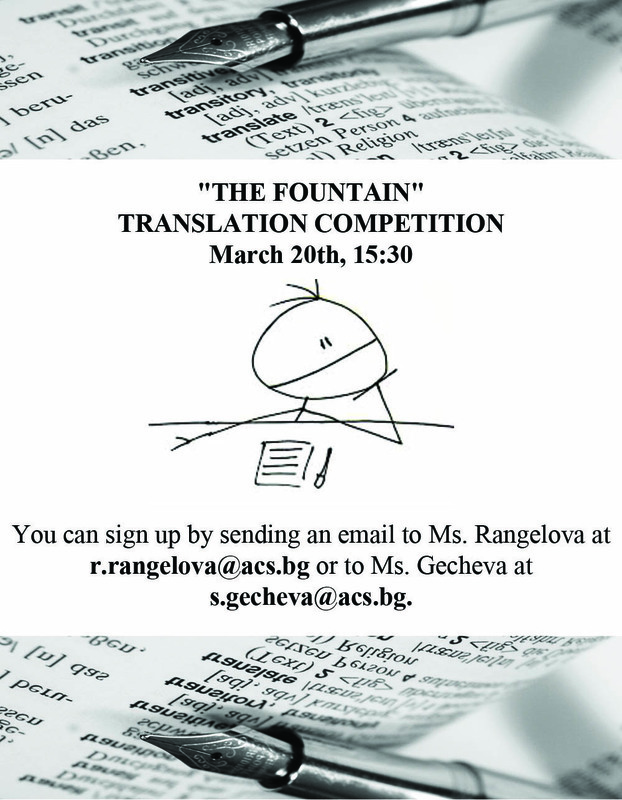 You can sign up by sending an email to Ms. Rangelova at r.rangelova@acs.bg or to Ms. Gecheva at s.gecheva@acs.bg.